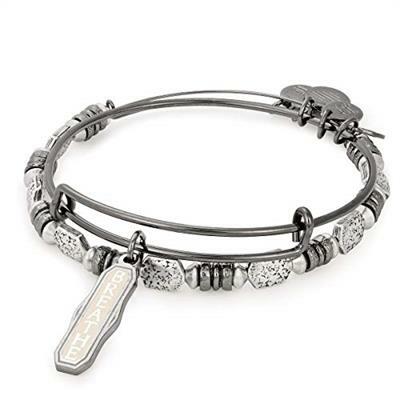 Wear this stunning set by Alex and Ani to remind yourself to inhale, exhale and repeat. Take each moment as it comes, and every challenge one breath at a time. This set features a Colour Infusion Words Are Powerful bangle, along with a beaded set. Wear to add colour and texture to any bangle stack.